Last edited by Q_x on Tue Aug 31, 2010 8:14 am, edited 1 time in total. I read there, he hasn't been making his ion stove since 2009. He does say he makes a few for his friends. I did find a picture: http://www.backpackinglight.com/cgi-bin ... 01207.html but his website is no longer there. 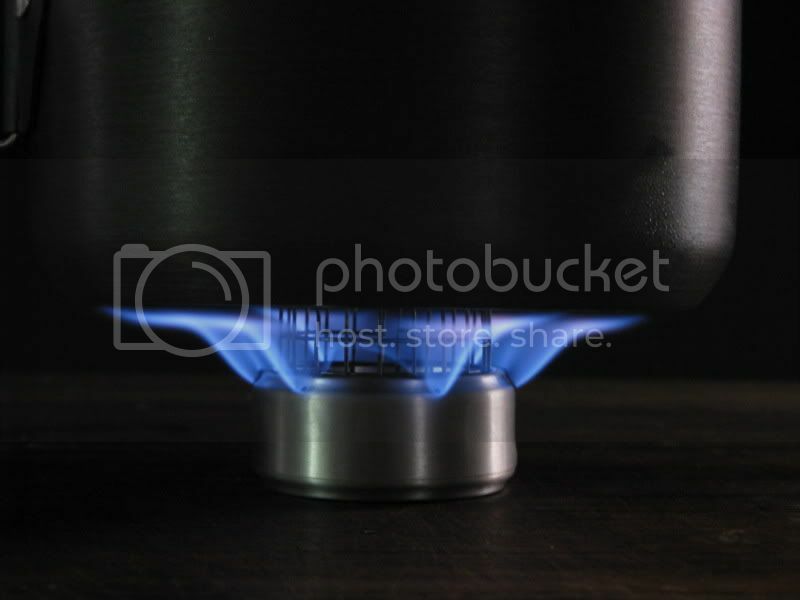 search this site for "ion stove". i've posted pics of the ones that i make, as well as a link to the instructions pages on Sgt. Rocks site. i believe this is the first pattern that Rock produced, but there are other patterns that go by the same name. i've found that it is adventageous to use an external potstand. the internal one robs too much heat from the stove during the warm up period, makeing the time-to-bloom far longer than is needed. Last edited by Q_x on Tue Aug 31, 2010 8:21 am, edited 1 time in total. somwhere in this thread viewtopic.php?f=41&t=4295 i posted the bloom times of both with and without the potstand on this stove. yes the construction is the same as a pepsi can stove, but with the addition of fiberglass insulation. just light the fuel inside. no priming required. with some time to spare, i re-read that thread and saw that i had not posted the bloom and burn times for that ION with the potstand in place. sorry. i did the testing and here are the results. 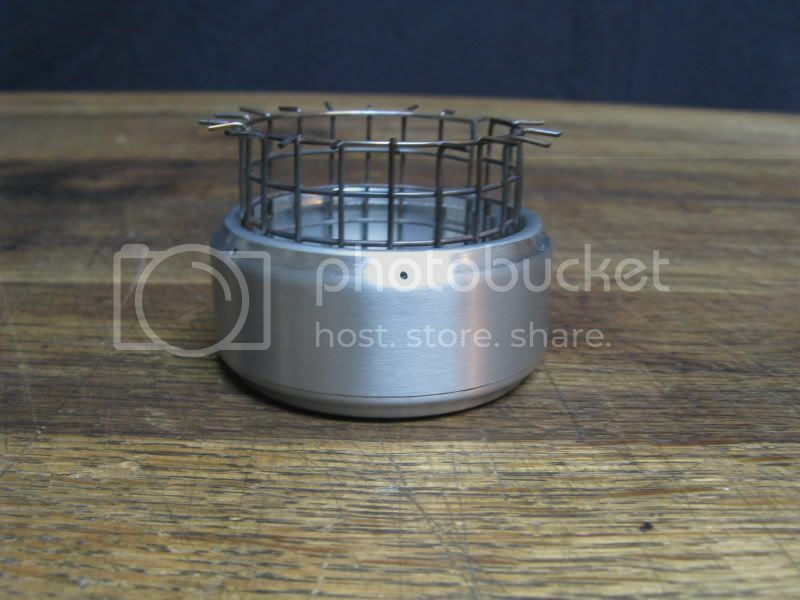 six (6) jets at 0.046"
Most alcohol stoves of this type will have the flame front advance to the outer most diameter. The small holes are really not necessary, enlarge the center hole to determine rate of burn. I think the stove had a known boil time of 11-12 min.....does that sound right?